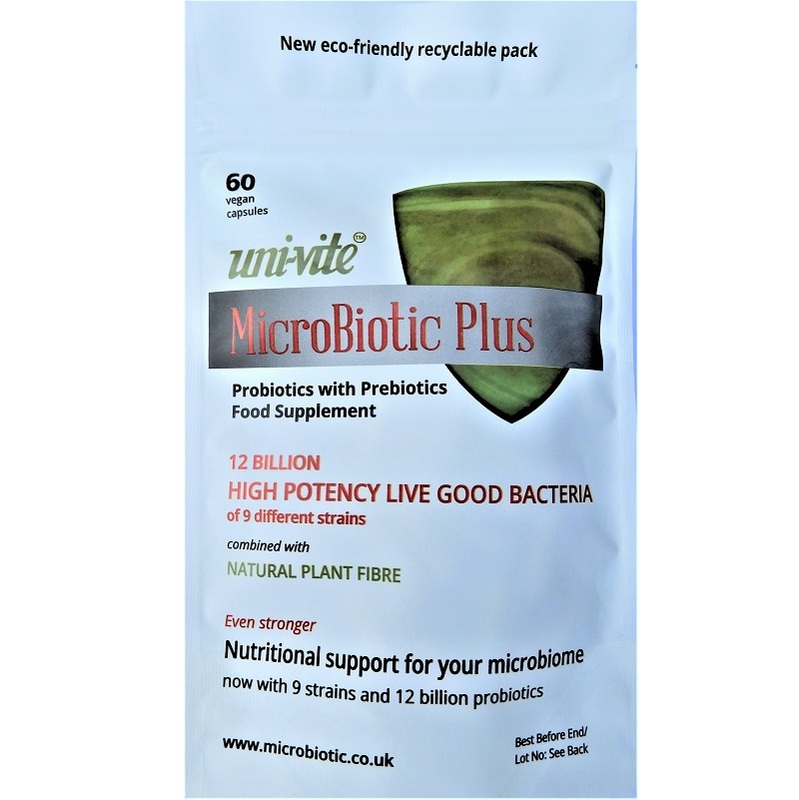 MicroBiotic Plus is a unique blend of 7.5 billion live multi-strain ‘good’ probiotic bacteria with natural prebiotic plant fibres. MicroBiotic Plus supports a natural healthy microbial balance in your gut, helping to replenish beneficial bacteria. Designed for gastro-intestinal conditions, to take after a course of antibiotics, to help travellers’ gastric upsets and in candida and yeast infections. The plant fibres (prebiotics) provide immediate nourishment for the live ‘friendly’ bacteria. Uni-Vite Microbiotic Plus therefore combines probiotics with prebiotics in a unique synergistic or ‘synbiotic’ formula. Previously few probiotic supplements were able to do all this – which is why many health scientists were sceptical about them.